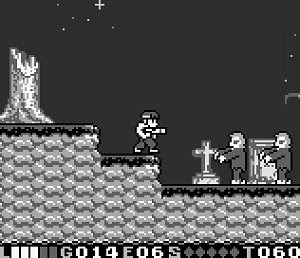 8-Bit Halloween is a game for those who love this scary holiday and also a tribute to the games we used to play on our NES and ZX Spectrum. Lionsoft developed this fun little freeware game where we control a hero named Jackie-Gun. He will have to face zombies and ghosts using only his gun. There’s a lot of platforming to do and some bosses to battle and send back to the place where they belong.